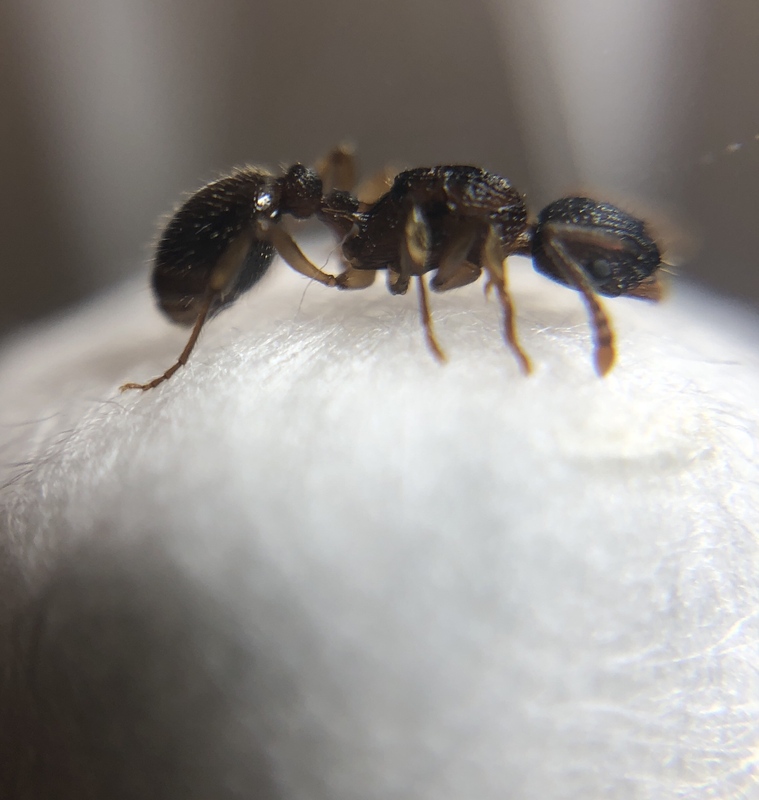 It’s Myrmica for sure, just need a more specific ID. Possibilities (of Myrmica in my state.) Myrmica Fracticornis, Myrmica Pinetorum, Myrmica Punctiventris. Any idea which one? 5. Color, hue, pattern and texture: Black head, reddish thorax, black gaster. Myrmica generally need to be examined under a microscope to get an ID.